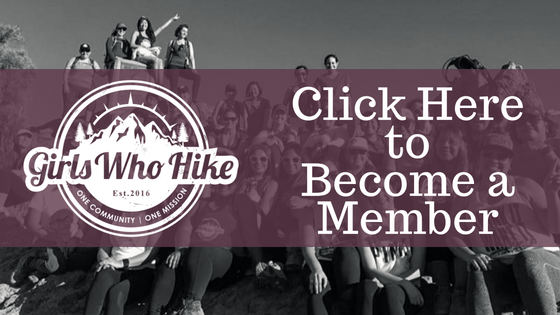 How long have you been apart of Girls Who Hike for? : I have been a member of Girls Who Hike since February of 2016. How did you find the Girls Who Hike organization? : I was going through a difficult breakup in early 2016, and had decided the best therapy for me at the time was hiking, where I could escape what was happening in my personal life and just focus on the trail. I was looking to make new friends and surround myself with strong, like-minded women who enjoyed the outdoors, instead of throwing myself back into dating. I was following Sharron on Instagram at the time, and saw a post saying that she was starting a hiking group on Facebook for women called “Girls Who Hike Los Angeles”. I knew as soon as I joined that this group was exactly what I needed in my life at that point in time, and the rest is history! What made you want to become a Girls Who Hike Ambassador? : After joining Girls Who Hike LA in 2016, I became increasingly more involved in the group as time went on, both in attending meetups as a member and establishing friendships with other ambassadors who were leading meetups for the group, and had shared their positive feedback from their experiences. The more I hiked with these women, the more I was inspired by their leadership, and curious about the idea of joining them among their ranks. 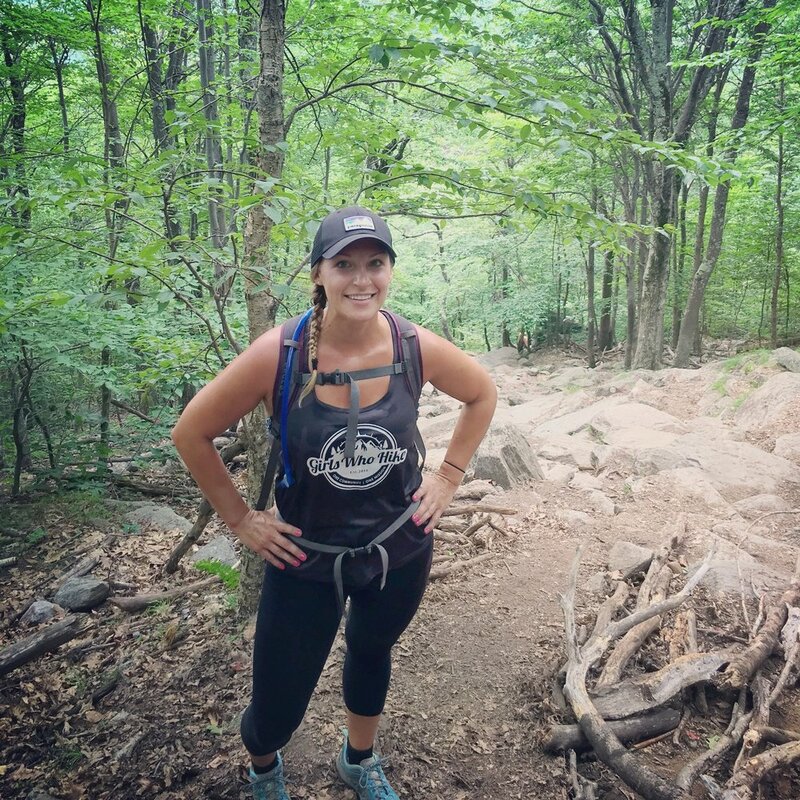 Despite being a single mom with a busy career in television production, becoming an ambassador for Girls Who Hike seemed like the next logical step in my hiking journey. I truly love being part of the group and was looking for a way to give back. I was hoping that by leading hikes as an ambassador I could not only organize hikes around my crazy shoot schedules, but I could also make some new friends who live closer to me in the San Fernando Valley, and help inspire other women to take that first step in their hiking journey. How did you get into hiking? : I grew up in southern New Hampshire, where camping, fishing, hiking and biking, and a myriad of other outdoor activities were all just a short drive away. We were as close to the beach as we were to the mountains, and went on a number of trips to Pawtuckaway State Park, Lake Winnipesaukee and The White Mountains growing up, but it wasn’t until I moved to Los Angeles as an adult that I really got into hiking. I was working on the show “Ultimate Survival Alaska” for National Geographic from 2013 - 2015, and as I processed footage of these rugged men trekking through Alaska, I decided then that I could do what they were doing too. I wanted in on these once in a lifetime adventures, and I am now hoping to cross backpacking in Alaska off of my bucket list in 2019. What's your favorite thing about spending time in the outdoors? : My favorite thing about spending time outdoors is the way you can get lost in your head while hiking. I think I do some of my best creative problem solving while on the trail, and often leave long hikes with a list of ideas for future projects. List three things you can't go hiking without: Water, electrolytes and trekking poles for these old knees. What do you love the most about being a Girls Who Hike Ambassador? : My favorite part of being a Girls Who Hike Ambassador is leading group hikes and chatting with new members. It is my goal to put these women’s minds at ease while on the trail, and I love hearing about their hiking goals and aspirations. What advice would you give ladies who are new to hiking? : My best piece of advice for ladies who are new to hiking is to start small and listen to your body. It is far easier to work up to those difficult hikes, than to get yourself out of scary situations when you’ve realized you’re in over your head. I remember how apprehensive I was to join my first Girls Who Hike meetup, and how out of shape I was at the time. I was huffing and puffing trying to keep up with the others, and worried about my pacing. But with time and training my pace has increased along with my endurance, and I hope to show others that theirs can too. We all start somewhere! It just takes a little patience and perseverance. There truly is a group hike out there for everyone!! To join Erin's local meet ups and discussions through the Los Angeles chapter, click here.